Shop from a wide selection of kitchen and dining linen tablecloths in many colors and sizes, buy for weddings, events and home. 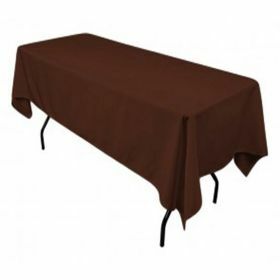 Save with our tablecloth discount coupons. 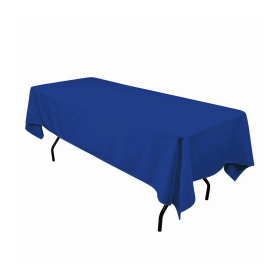 Cobalt blue rectangle tablecloth 60x102 inch in 100% visa polyester fabric, the perfect wholesale tablecloths, also suitable for banquet halls, weddings, churches, events catering, hotels, conventions and conferences. 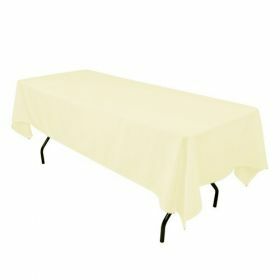 Totally Seamless (even on our large tablecloths sizes). 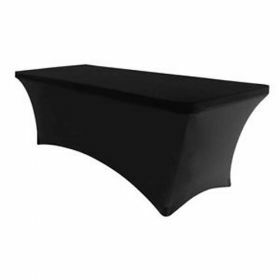 Folded and Stitched Hem Edges (one quarter inch). Thick Fabric. Ours=200-220g/m2, Theirs=160-180g/m2. This fabric color is NOT an exact color match with our other Royal Blue items.